THE USE OF cannabis-based CBD products for medicinal reasons is no longer a taboo or unreported subject in Ireland. From high-profile campaigns like Vera Twomey’s to numerous other personal stories, like those of Noreen O’Neill and Brendan Flynn, the push for greater access to cannabis-based medical products is a visible one. Also clear to see is that cannabis-based products are legally being sold in health food and specialised stores more and more across the country. There is also a lack of oversight on the products that are on sale leading to doubts about their reliability. CBD, or cannabidiol, is a chemical constituent of the cannabis plant and products based on it can be legally sold in Ireland. CBD-based products have been used by patients suffering from a range of conditions including epilepsy, chronic pain, spasticity, insomnia and anxiety. There is increasing clinical evidence about its success as a treatment but CBD is not currently authorised as a medicinal product by the Health Products Regulatory Authority (HPRA) in Ireland. This means that it is not considered as a treatment option and CBD products can not be prescribed by doctors. A recent decision in the United States, however, could point towards future changes here. In June, a CBD-based drug called Epidiolex was approved by the Food and Drug Administration for use as a treatment for childhood epilepsy. Clinical trials published in the New England Journal of Medicine showed that children using the drug had nearly 40% fewer seizures per month. That trial was conducted on 120 children with Dravet Syndrome, the same condition Ava Twomey’s daughter Ava suffers from. But while similar approval may take some time from the HPRA, CBD products will continue to be sold in Ireland, even if they are not being prescribed by doctors. Finn is a professor of pharmacology and co-director of the Centre for Pain Research at NUIG. He supports greater research into the use of medical cannabis and points to the positive evidence on childhood epilepsy in particular. But he does have concerns about both the effectiveness of CBD as a treatment and how it is being marketed. “People are kind of treating CBD as type of nutritional supplement or a health food, and it’s a drug,” he explains. Cannabidiol is a drug that we’ve know about since the 1960s and like all other drugs it is going to have effects on the body and some of those effects may be beneficial, and there’s evidence for that.Some of the published evidence is strongest for epilepsy, particularly for childhood epilepsy, and for inflammatory pain and maybe anxiety as well. But there may also be side effects. Finn also shares some concerns about the unregulated CBD products that are currently on sale in Ireland and a lack of oversight. Some of them aren’t tested rigorously for quality control. So there can be batch to batch differences. There will be some cannabidiol in there but how much is in there is an open question. So that’s the issue. It’s very hard to guarantee to patients that they’re taking the same thing each time they go and buy these preparations. What they buy from a pharmacy in Cork might be different to what they get from a health food store in Dublin. Among the concerns would be that the products have trace elements of THC from the extraction process. Products with THC at levels greater than 0.2% would be illegal. Finn stresses that he is not saying CBD products on sale here contain THC, only that there is often no testing to show otherwise. But the owners of a new store in Dublin are confident that its products are sufficiently tested and are what they purport to be. CBD Relieve Ireland in St. Stephen’s Green Shopping Centre opened last week and claims to be “Ireland’s first dedicated CBD store”. Marketing manager at the new venture Joe Dunne says that the store sells CBD in a variety of forms such as vaping liquids, droplets, body oils and body creams. 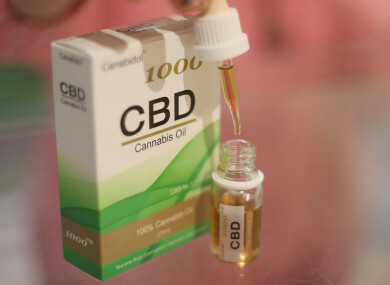 The store sources all of its products from CBD Relieve in the UK, a business that Dunne says has been working with Britain’s medicines regulator. Dunne says that CBD Relieve Ireland is separate from the UK company which shares its name and that they met with five or six CBD companies before settling on a supplier. The store does not sell its products to under 18s and Dunne adds that people who come in are encouraged to consult with their doctors before they buy. He adds that staff in the store do not give medical advice and that any advice they do give is based on feedback from customers of the products in the UK. “We have to be very careful with the advice we give because we’re not doctors, we’re not pharmacists, it’s not sold as a medical product either, it’s basically sold as a food supplement. So it’s a supplement that will either help or assist someone’s normal day-today well-being. What you do is you work with the information you have with relation to customers, so we would work based upon what CBD Relieve UK’s feedback has been from their customers, and they have a lot because they’ve been operating two to three years. Email “Confused about CBD? Here's what you need to know about Ireland and the cannabis-based remedy”. Feedback on “Confused about CBD? Here's what you need to know about Ireland and the cannabis-based remedy”.